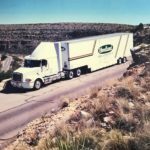 Whether you’re moving the newest member of your team or relocating your entire organization, Woodland Moving and Warehouse offers you the latest in logistics, technology and communication. We bring these capabilities to you in concert with our most important asset, our people. Our highly trained drivers, crew members, logistics staff and customer care coordinators work around the world to make sure your transferees are handled with the utmost compassion and care. With over 100 years in the business, we have the knowledge and experience of a major van line without the cost increases and markups that make using them so expensive. Being independent means Woodland Moving and Warehouse is the service provider and not the middleman. Our quality trained staff handle everything from the initial contact, planning and logistics to full-service packing, loading and hauling of your employees’ household goods. Your transferees will arrive at their new home happy and settled, ready to work for you. Choosing Woodland Moving and Warehouse means choosing quality you can count on. 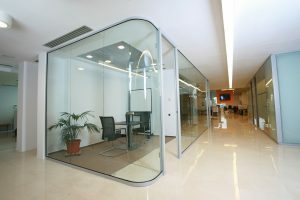 We realize that the quality of our service reflects on you. 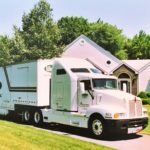 Assigning an AMSA-Certified Moving Consultant as the primary point of contact is the first step we take to ensure that every relocation is as seamless and efficient as possible. Your transferees will have the same dedicated and experienced Moving Consultant guiding them through the entire moving process, from the initial survey until the final call. We believe having the same consultant throughout the moving process creates a sense of comfort and a high level of employee satisfaction. Moving can be stressful… but it doesn’t have to be! 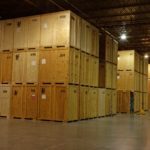 At Woodland Moving and Warehouse we understand that moving involves much more than just transporting furnishings and personal effects. It means moving a family and a life. We handle your corporate relocation from start to finish with minimal interruption to your employees’ lives and your business, ensuring a smooth transition for your employee while looking for ways to make your company’s policy more cost-effective. Our process makes it much easier for you to focus on your business while we focus on relocation. Don’t settle for operating through a middleman. Trust Woodland Moving and Warehouse for your relocation needs and we’ll do all the heavy lifting for you! If you need corporate relocation services in West Hartford, contact us at (860) 249-1949 or at [email protected].